From “cozy-cabin”- inspired buffalo check to sunny wildflowers, we incorporated the majestic surroundings of Banff with the clever inspiration for each session with Engage to create this collection. Nothing says posh mountainside more than tailored buffalo check. 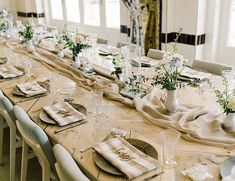 Using a mix of red and black and forest green and navy, these custom linens, table runners and napkins offer the perfect amount of rustic for your chic event. CUSTOM BUFFALO CHECK TABLECLOTH IN RED AND BLACK, FOREST GREEN AND BLACK, AND NAVY AND BLACK. PHOTOS BY LOVE LIFE IMAGES. Nestled between snow-capped mountains and lovely Lake Lousie, sat our sea of wildflower linens, custom-printed by Wildflower Linen. The design incorporated the artful style from a friend of La Tavola, Kristy Rice of Monumental Designs. Her gorgeous floral illustrations were the standout of the lunch menus and centerpieces. They reminded us of some other dreamy florals that we’re familiar with – the flowers she illustrated for our delivery trucks! Custom-flowers are only the beginning – imagine what else we can put on a custom linen for your next event. CUSTOM-PRINTED WILDFLOWER TABLECLOTH. PHOTOS BY PAUL MORSE. 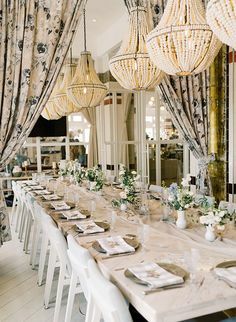 Celebrating the high-style and classic glamour of railway travel, this luncheon called for formal tablescapes to complement the posh travelers. Mixing the colors of our Neiman Linen, with Dupionique Sangria Napkins, the garnet and gold color palette was a gorgeous anchor to the celebration. NEIMAN LINEN IN RED, ECRU & GOLD. PHOTOS BY CARLA TEN EYCK. The summit concluded on the brightest note – with guests decked in all-white and a ballroom transformed in to a snow-kissed winter wonderland. 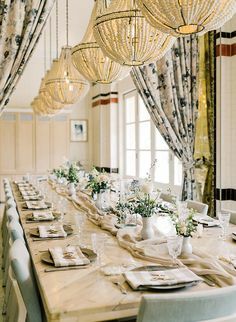 Mixing the geometric floral Mika Silver with organic Baylis Rain Silver, the white-washed ballroom glistened from light thrown by huge custom shades and lighting design. BAYLIS RAIN SILVER LINEN AND MIKA SILVER LINEN. PHOTOS BY CARLA TEN EYCK. La Tavola Fine Linen was honored to do the linens for Engage! Banff. Our partnership with Wildflower Linen affords us the ability to create custom and bespoke linens and the most extensive couture collection. Snow-capped mountains and sea of wildflower linens are really beautiful. Thank you for sharing such beautiful photographs. Black and white stripe, harbor stripe white, or black and white print – Let La Tavola show you the perfect Black and White look for any occasion. Black and white stripe, harbor stripe white, or black and white print – Let La Tavola show you the perfect Black and White look for any occasion. It can be bold. It could be soft. It can be classic. It could be modern. There are so many ways to implement this design and create a minimalism look. Throwing it back to La Tavola’s OG years with our iconic Awning Stripe Black + White, this has always been popular choice among many. With its classic yet timeless look, it has made many debuts in many events! Whether it is a casual backyard party or a gala this black and white stripe has been so influential in the design world! Even though this black and white stripe is such a staple, we have added some more modern twists to our collection! Check out our Harbor Stripe White! This linen has as updated the classic stripe look and has become a popular choice within the last few years! This linen also comes in a napkin and can be paired with solids or another fun black and white print. It is bold yet simple and we love it! See our Harbor Stripe White as a napkin and paired with another popular black and white print! The Arthur Black is another fresh version of the stripe as well. These two can stand out alone or compliment on another. Black and white can be done in so many ways. There is never a wrong way to play with these two colors! You can always add more pizazz to your design but adding intriguing prints. Another fun print we love for black and white designs is our Brush Squares Smoke. This linen will definitely leave your guests inspired and in awe. This linen also has a similar pair which is our Brush Rings Smoke. What we love the most about the black and white color palette is that it can be dressed up or down! There is also no rules with the mixing and matching of these colors and you can definitely play with different shades! We are owing and awing over the details in this shot! Could a black and white table get any better when there is also marble involved?? What if there is also velvet?? 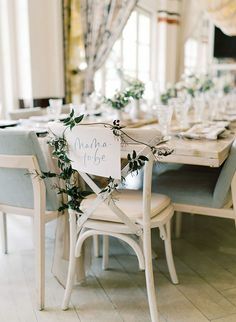 Marble is great texture to add to the table and brings dimension in color. These marble chargers play with the shades of blacks and greys with whites and ivories. To tie it all in we have a Velvet Oatmeal table runner paired with White Hemstitch napkins. Talk about texture heaven! Overlays are a great way to include some sparkle into a design. Since they require a underlay you can play with colors and personalize the look! One of our favorite combos is of course our Mariah Black and our Topaz White. Our Topaz White is a rich taffeta that has a slight sheen. This sheen compliments the twinkle in the Mariah’s sequined details and creates a bold sophisticated look. As you can see you can never go wrong with the color palette of white and black! It can be classic or it could be modern. It can be casual or it could be for a black tie event. Black and white can be used in so many ways and we can not wait to see more of your designs using these contrasting colors. I like Harbor Stripe White and Durham Black/white, which is designed beautifully.